All-in-One « Tech bytes for tea? Available from today are the 21.5-inch Zen AiO Pro (Z220IC) and the 23-inch Vivo AiO, with the latest sixth Gen Intel Core processor and 1,920 x 1,080 Full HD display resolution with LED-backlit display and wide viewing angles. Prices below. The new ASUS Zen AiO Pro (left) and Vivo AiO that’s available now in Singapore. ASUS claims that the Zen AiO Pro are the world’s first all-in-one PCs to use the next-generation USB 3.1 Gen 2 Type C connector, offering high speeds of data transfers of up to 10Gbit/s. USB 3.1 transfers data between devices up to 2 times faster than USB 3.0. 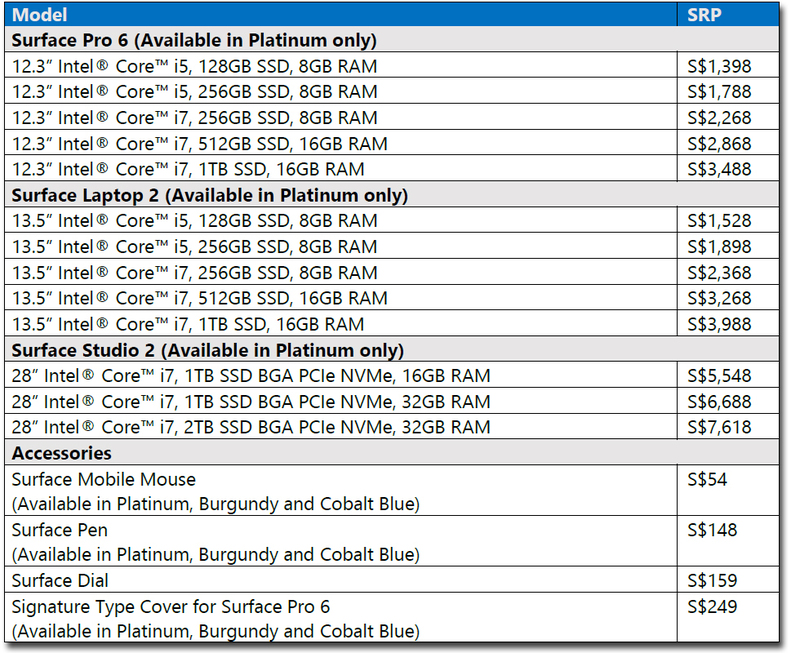 Below are the prices and more details from the press release. HP has launched the Pavilion x2 tablet/notebook hybrid, ENVY Beats All-in-One desktop and three wireless inkjet printers – ENVY 5640 eAiO, ENVY 5530 eAiO and ENVY 7640 eAiO. Price and availability below. (Left) The ultra-portable HP Pavilion x2 detachable PC/tablet (S$499) is designed for customers who want to simplify their life with a single device that transforms from tablet to laptop. (Right) The HP ENVY Beats All-in-One (S$1,599) is equipped with quad speakers and quad subwoofers all in a sleek desktop design. HP’s new slew of consumer products are targeted towards the millennials – young working adults from their mid-twenties to the mid-thirties. Pricing and availability is tabulated below. The new HP Pavilion x2 is a full-featured 10-inch diagonal Windows tablet that transforms into a full-featured laptop with a detachable dual-purpose keyboard/cover that both protects the screen and serves as a multi-position stand. “Customers have told us they want devices that offer flexibility and performance while reflecting their personal sense of style. The products we are announcing today include innovative designs, vibrant color options, choice of operating system and computing power to enable the way that customers communicate, play and live,” said Serena Yong, general manager, Printing and Personal Systems, HP Singapore and Malaysia. The HP Pavilion x2 is a portable, versatile, highly affordable 2-in-1 PC powered by the latest-generation Intel Atom processor, and features front-firing speakers with DTS sound and a battery that lasts up to 11.45 hours. The HP ENVY Beats All-in-One provides music lovers and movie fans with good sound quality with quad speakers and quad subwoofers. It has a 23-inch diagonal Full HD IPS 10-point touchscreen display that tilts up to 30˚ so that users can sit comfortably while using it. HP’s three new ENVY printers enable direct printing from smartphones and tablets. The new HP ENVY 7640 and 5640 e-All-in-One printers will feature a new WiFi Direct feature, allowing users to maintain a simultaneous connection with both the printer and the Internet. Print direct from smarthones and tablets: ENVY 5640 eAiO (left, S$199), ENVY 5530 eAiO (top, S$159) and ENVY 7640 eAiO (right, S$299). The new devices can also be set up quickly and easily with a smartphone or tablet. Dell’s 2014 latest range of Inspiron 3000 & 5000 laptops and all-in-one desktops are targeted towards students and families. Starting prices range from S$699 to S$1,199. Dell Inspiron 15 3000 starts from S$749. The Inspiron 3000 series consists of the Inspiron 14 3000 and Inspiron 15 3000 laptops as well as the Inspiron 20 3000 AIO desktop. The Inspiron 5000 series comprises the Inspiron 14 5000 and Inspiron 15 5000 laptops as well as the Inspiron 23 3000 AIO desktop. Dell Inspiron 14 5000 starts from S$1,199. While the Inspiron 3000 series laptops offer HD touch displays in sleek, compact forms at attractive price points, the Inspiron 5000 series laptops are pricier and ship with brilliant touch displays, backlit keyboards, and thinner, lighter builds. 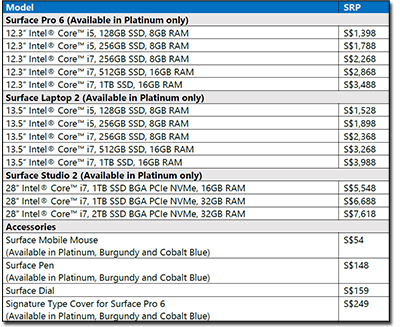 Below are the starting prices for the new Dell Inspiron systems which are now available in Singapore. Intel is showcasing opportunities for partners at the 2014 Intel Solutions Summit at the Resorts World Convention Centre in Sentosa, Singapore. Tablets, 2 in 1s, reimagined desktops, servers and the Internet of Things (IoT) represent key growth opportunities for partners over the next twelve months, Intel has told a gathering of leading technology channel businesses. Ferhad Patel, director, reseller channel organization (RCO), Asia Pacific and Japan at Intel said the computing industry is undergoing rapid transformation, and that this presents a diverse and growing range of opportunities for the company’s channel partners. Intel today launched the newest offering in its Next Unit of Computing (NUC) product line – the first to be powered by an Intel Atom E3815 processor (based on the company’s “Bay Trail” architecture). The new NUC, model DE3815TYKH, is designed with thin client applications in mind. It features a fan-less design, on board eMMC memory, and the space savings of a 4”x4” motherboard. With the ability to directly power a LCD monitor through an onboard eDP connector, the new NUC is a great solution for kiosks, point-of-sale and digital signage. It also is expected to be relevant to the space-constraints of modern Asia’s urban homes. The new product is available in distribution starting today. Intel also announced the first APJ partners for its recently-introduced Education 2 in 1, Intel’s first ever education-targeted reference design using the 2 in 1 form factor. A learning tool designed with students in mind, the Intel Education 2 in 1 has the flexibility and mobility of a tablet plus the performance and productivity of a laptop, giving students the best of both worlds in one device. The Intel Education 2 in 1 is a powerful learning platform that features affordable tools such as a snap-on magnification lens and a temperature sensor, which work with the Intel Education Software suite to enable experiments that inspire student curiosity and promote inquiry.